Wireless outdoor speakers are somewhat of a new item to the hi-tech garden landscape, coming into their own in the last few years. Theme parks pipe outdoor audio and music around the park for years using” outdoor rock speakers” or speakers looking like a small pot with a cover. They understand people love music in the home and in the car. Why not surround yourself with music outdoors as well? For the homeowner, they made their debut on the patio – protected, but without the need for special wires. Now just like solar garden lights which are wireless, audio has moved to the outdoors and into the garden following the no-wire trend. Who wants the extra work of digging a trench to put in wire for speakers when wireless is the best option? Plus, even for the non-techie, setting up a wireless speakers system made for outdoor use is fairly easy. The wireless technology currently used by outdoor garden speakers come in two categories: RF (Radio Frequency) and IR (Infrared). Infrared technology speakers require what is called – line-of-sight – where a clear clean line of sight runs from the wireless receiver to the speaker out in the garden. Radio Frequency technology transmits “waves” to send a signal from a receiver to the speaker. IR works fine in small areas but RF is probably the best as it eliminates the dependence on a clear line of sight signal. As with all wireless technology RF does some drawbacks as some frequencies many interference or disrupt the sound from the wireless speakers. If you have a very big yard take into account the maximum distance of the speakers to the receiver when shopping for wireless outdoor speakers. Many outdoor speakers are small in size – about the size of a bathroom trashcan and sound quality has improved greatly over the years. These compact units like the Audiovox Acoustic Research AW825 Mission Style Wireless Speaker with their high-performance weather-resistant drivers can deliver crystal-clear reception up to 150 feet away. These “designed for outdoor use” speakers can handle most weather conditions. Crisp-clear sound from your mp3 player, iPhone, iPod computer and yes your stereo too so you control the audio source. The weather-resistant wireless indoor/outdoor speakers deliver audio with amazing clarity outdoors on the patio and beyond. They are even expandable. The portable speaker design allows them to hang or stand making wireless installation a snap. 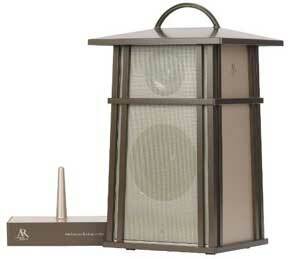 The speaker housing is designed to handle a variety of weather conditions and elements. Weather-resistant, high-quality speakers provide big sound with No Wires! Using RF technology and 900MHz PLL (Phase Loop Lock) circuitry zeros in and automatically locks to keep a strong, clean, clear audio signal… even through a wall… with a range of up to 150 feet and requiring NO line of sight limitation.This allows endless options for installation. 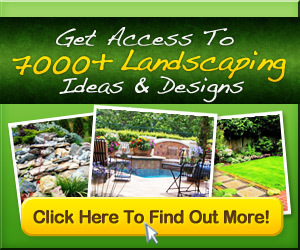 A perfect outdoor solution for the patio, garage, garden and the deck for those summer get togethers.